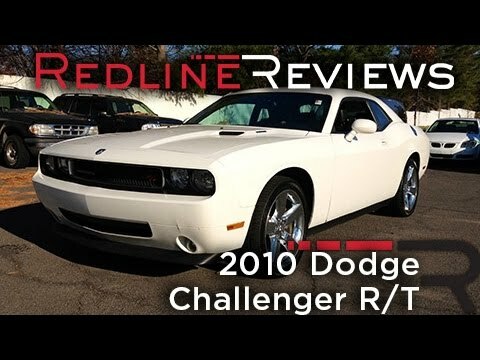 Whether you grew up owning one, or regret being born too late for the privilege, lovers of the genre will find the 2010 Dodge Challenger promises the same head-turning good looks and HEMI-powered acceleration as the original. Lots of room in all areas. My challenger drives great, handles great and has plenty of room. 2 adults can ride comfortably in the backseat and the trunk has lots of room. I've had trouble with the rear abs sensor going out, twice so far. Also the front clip being that plastic is starting to droop a little. It gets ok gas mileage being the v6, but has good power on take off. You will be going faster than you think if not careful. The ride is very smooth, has some outside noise that you hear, but radio does cover it. I love my car, but some things could be different. Drives and rides great, lots of room but has a few issues. This car drives and rides great. It has lots of room 2 adults can ride comfortable in the back seat and the trunk is large. The rear ABS sensors keep going out ,which is a problem and the front clip is starting to drop. My car only has 59480 miles on it and this is the 2nd time the ABS sensor has went out which means no cruise control and no abs . I really like my car but wish it wasn't giving me these problems. The tire air pressure sensor is now giving me problems also. It's fun to drive while still practical for everyday use. I love my car. It doesn't have the same boring body style of all the other milktoast cars that you see on the road. It's fun to drive and is quite fast. It has the technology features that I appreciate, though I know other cars are now more advanced. I added an improved exhaust system to give it a deep throaty sound to match Its power and appearance. The only thing I don't like is how much fuel it uses, but my typical commute is very short.